Parry, Malcolm. 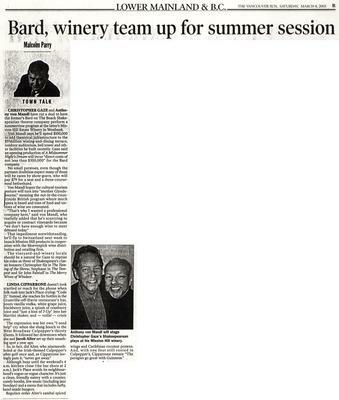 "Bard, Winery Team Up for the Summer Session." The Vancouver Sun 8 Mar. 2003: B?.